It’s 1.13am Wednesday the 23rd March 2011 and realisation that ‘that Twestival thing‘ I got involved in is iminent! Well we’ve certainly been ambitious with EdTwestival this year! 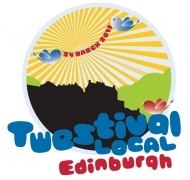 We’re looking to build on the success of previous Edinburgh Twestivals with even more people there on the night, and if all goes to plan; more cash raised! Never heard of JCI (Junior Chamber International)? You will have the opportunity to find out more about the organisation over a glass of wine or two and some nibbles whilst meeting some of our members and hearing more about what they have got from being a member of JCI. You will also have the chance to find out more about our programme of events, as well as meeting some of our patron organisations. For more info contact Laura Hutton laura_hutton@jciedinburgh.org.uk. I would guess you can still RSVP for tonight, so do check it out if you’re interested. Can Twitter Save the World?